Remember how I said I’d love to write more about Pee-wee Herman? Well, here I am, doing just that! 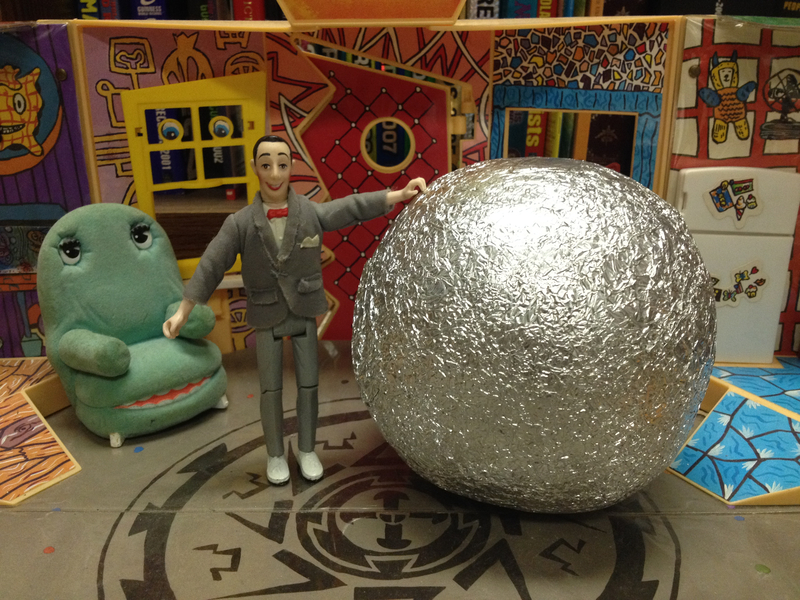 Check out Pee-wee Herman’s official website! Christmas (and the holiday season in general) is, obviously, about giving to others, especially those less fortunate than us. It’s also a time to reunite with friends and family. Mix generosity with friends and family, and you have the perfect recipe for craziness and fun. And who has more crazy fun than Pee-wee Herman? Pee-wee’s Playhouse Christmas Special (1988)! 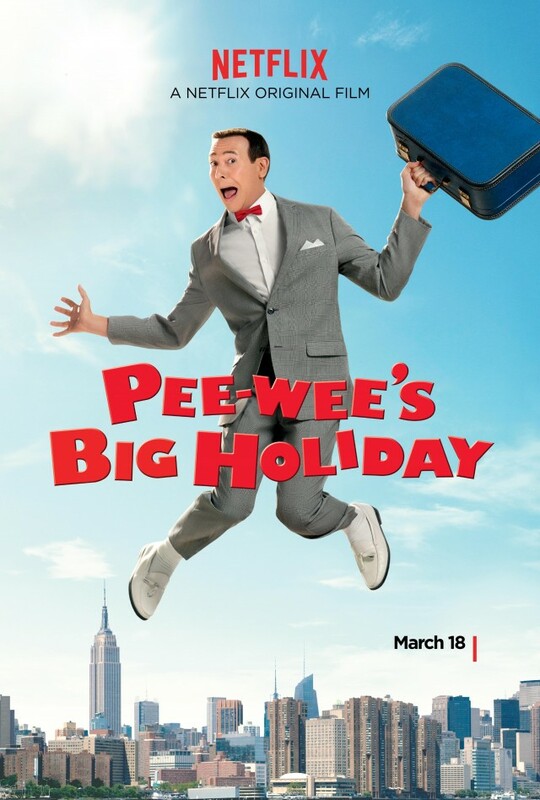 This is the perfect year to watch it, too: to get yourself ready for the premiere of Pee-wee’s Big Holiday in March on Netflix! 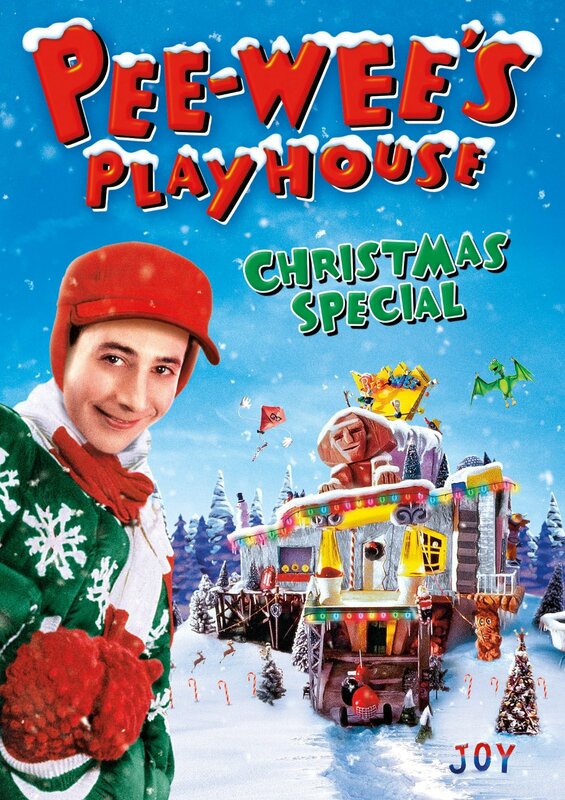 If you like Pee-wee Herman, you’ll love Pee-wee’s Playhouse Christmas Special! Not one bit of the show’s trademark anarchic insanity or subversive nature was sacrificed to create this double-length episode. This special has everything you’d expect to see in a traditional Christmas special: guest stars galore, seasonal music, almost every Christmas/holiday/winter symbol you can think of, and even a reminder of why people celebrate Christmas in the first place. If you need something to make you laugh, something to show to kids, or something to make you stand out when it’s your turn to pick in the Christmas movie marathon, look no further than Pee-wee’s Playhouse Christmas Special! You’re invited to the coolest Christmas party EVER! As with anything Pee-wee Herman-related, if you’ve never seen Pee-wee’s Playhouse Christmas Special before, it’s best to go into it without knowing too much about it. Think of it this way: would opening Christmas presents be as fun if you knew what every single gift was beforehand? The answer is no. The surprise is part of the fun! Go watch Pee-wee’s Playhouse Christmas Special (which is streaming on Netflix), and then come back here to read the rest of this post. Go. Now. Don’t worry: I’ll wait. This entry was posted in Christmas, Christmas/Holiday Movies, Holiday Season, Movies/Film, Music, Northwestern University, Pee-wee Herman, Television/TV, Thoughts On and tagged Christmas 2015, Holiday Season 2015, Netflix, Pee-wee’s Big Holiday, Pee-wee’s Playhouse, Pee-wee’s Playhouse Christmas Special on December 11, 2015 by Jamie Lee.